Rosemary Lee's Melt Down was part of 'Square Dances' in Dance Umbrella 2011, London. It was filmed by Alex Reuben as part of his digital, dance-movie series, Newsreel (64', HD, ACE/Sadler's Wells, UK 2011). Melt Down was a live performance conceived and directed by Rosemary in Brunswick Square. It was screened the following week in Brunswick Square's Renoir Cinema, as part of the digital unrolling of Newsreel. The screening featured a Q&A with Alex Reuben and Rosemary Lee. Melt Down was originally one of a quartet of short live performances in open spaces in central London that combined to make up Square Dances. Specially commissioned for Dance Umbrella 2011, Melt Down was performed by 40 men under a massive tree. Over ten minutes with a single toll of a bell marking each minute, the group sunk slowly and almost imperceptibly to the ground. A deceptively simple yet powerful piece, Rosemary re-created this performance and relocated it to a new context close to London's Kings Cross Station for Dance Umbrella 2012 and in Rio de Janeiro for Panorama 2012. The original version of Square Dances was commissioned and produced by Dance Umbrella in association with Rosemary Lee Projects and Artsadmin by Nicky Childs. It was supported by The Place and by Bloomberg, with additional funding from the National Lottery through Arts Council England. It was developed from an idea of Elise Long's, Spoke the Hub Dancing in Brooklyn, with thanks for her inspiration and permission to work with meltdown concept. 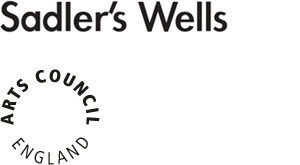 Newsreel is commissioned by Sadler's Wells, supported by the National Lottery through Arts Council England and screens in cinemas across the UK in 2011-13.